Talent Consulting Group (TCG) is an independent management consulting firm based in the Kingdom of Saudi with a team of practical Human Resource Strategists committed to helping organizations seize the essential people advantage. Talent Consulting Group (TCG) does that by working alongside its clients to solve their complex problems and helping them capture the greatest opportunities. We bring years of Human Resource consulting experience with diverse industry and functional expertise. TCG is a subsidiary of FirstApex Holdings Ltd; a diversified multi-business conglomerate headquartered in the Kingdom of Saudi Arabia. Talent Consulting Group (TCG) has entered into a strategic alliance with Delta Three Consulting; a Research based Independent Management Consulting firm specializing in Strategy, Talent, Corporate Finance, Performance Improvement and Corporate Renewal having its presence in Singapore, Qatar and Sri Lanka. Talent Consulting Group (TCG) along with Delta Three Consulting pool the collective strengths to provide unmatched advice and solutions to its clients. Our advice and solutions are shaped by the client's unique needs and business context that are designed to ensure that clients get the best return on their Human Resources. We believe in collaborating with clients in providing objective, and expert guidance to help them devise and implement winning Human Resource Management, Organization Development, Learning & Development and Talent Sourcing Solutions that have the lasting impact they desire. We are driven to deliver practical solutions to our clients that are holistic, pragmatic and sustainable. We appreciate the value created by solutions that are developed through collaborating with all levels in the organisational hierarchy beginning from the boardrooms to the front line. Our team makes us different. Our consultants are a group of cohesive, smart, energetic and result oriented people who believe in a collaborative approach to building customized solutions that work for our clients. Their quality, competence and commitment is the cornerstone of our ability to serve our clients. Our pool of consultants come from diverse backgrounds, disciplines, industries, nationalities and outlook that ensures our clients receive a balanced of deep and broad expertise. We are meticulous in identifying exceptional people, developing their competencies, and creating an environment that fosters their professional growth, capability, contentment and retention. Our team comprises of consultants from Middle East, Europe, Continental US, South Asia and Far East Asia. Chartered Fellow CIPD (UK), Fellow AHRI (Aus), IPMA-SCP (USA). 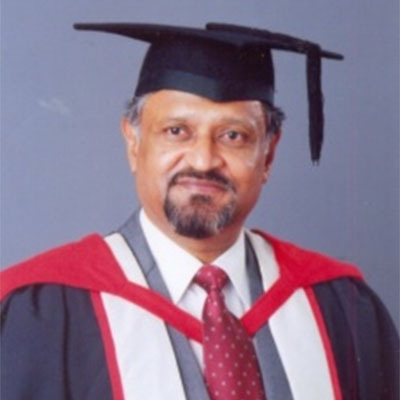 Farzuhan Marlin Shahid is the Chief Executive Officer of Talent Consulting Group. He is a well-seasoned Human Resource Professional turned Business Leader and Strategic Developer with a successful track record in orchestrating start-ups as well as elevating organizational performance through skillful Strategic Management. He counts over 25 years of corporate experience with 18 years at Senior Managerial and Board Level, spanning over 30 industries with an international exposure covering South Asia, Far East Asia, Middle East & Africa managing over 40 nationalities. 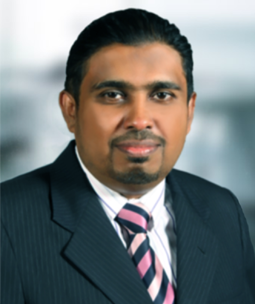 His last corporate assignment was in the capacity of Chief Strategy Officer at Al Rajhi Takaful. He also functions as a Board Member of Delta Three Consulting. © 2019 TALENT Consulting. All Rights Reserved.